Mozambiqe is a country that mistakenly gets left out of most planned trips to Africa. It is a country with more than 200 mammal species that are endemic to Mozambique. For the wildlife and nature enthusiasts, Mozambique features 7 national parks, 6 nature reserves, 3 wildlife reserves, and 13 forest reserves. The Bazaruto Archipelago is a collection of six islands not far off the coast of Mazambique. The islands include: Bazaruto, Benguerra, Magaruque, Banque, Santa Carolina, and Shell. The Bazaruto Archipelago features sandy beaches and coral reefs for nature lovers with more sports oriented turning to surfing or fishing. The archipelago is a national park protecting the aquatic and island marine life. Visitors to the Archipelago can experience whale sharks, mantas, leatherback turtles, humpback whales and the dugongs. It features the largest population of dugongs in the country. 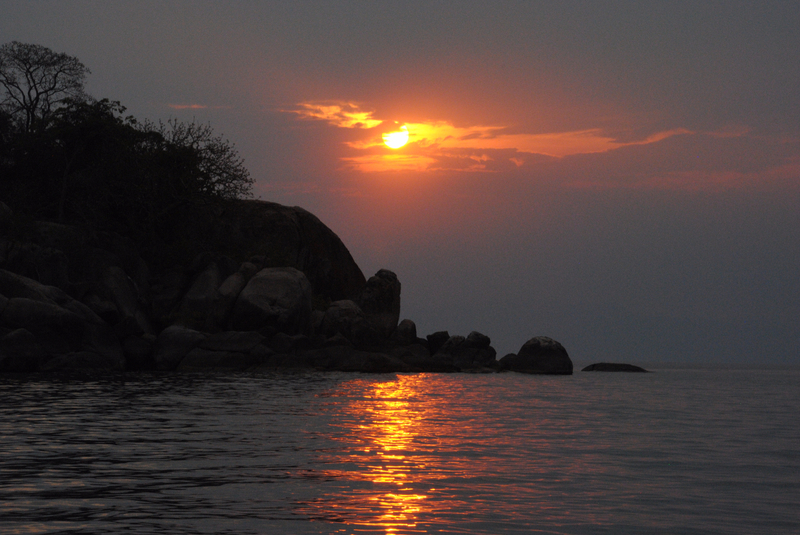 Lake Niassa, called Lake Malawi and Lake Nyasa in other areas, is an African Great Lake. It is the southernmost lake in the East African Rift system. 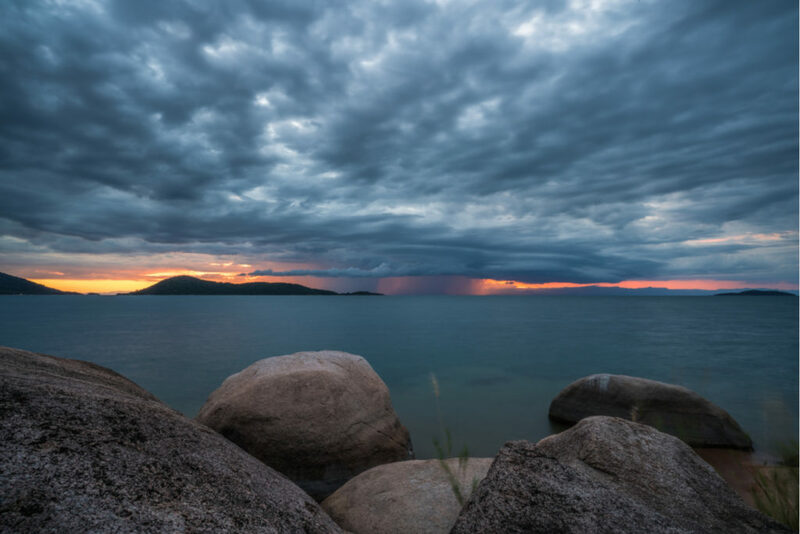 Lake Niassa is the ninth largest lake in the world, the third largest and second largest lake in Africa, and it is the largest lake in Mozambique. It has a surface area of 11,400 square miles (29,600 sq. km). It is home to more species of fish than any other lake. Lake Niassa extends a distance of 360 miles (580 km) long and 47 miles (75 km) wide. The deepest spot reaches a depth of 2,316 feet (706 m). The average depth is 958 feet (292 m). The lake also has a southern tributary feeding the Zambezi River. The Zambezi River extends 1,599 mile (2,574 km) long river originates in the mountains of Zambia and flows eastward ending into the Indian Ocean. The Zambezi River is the longest east-flowing river in Africa as well as the largest ending into the Indian Ocean. 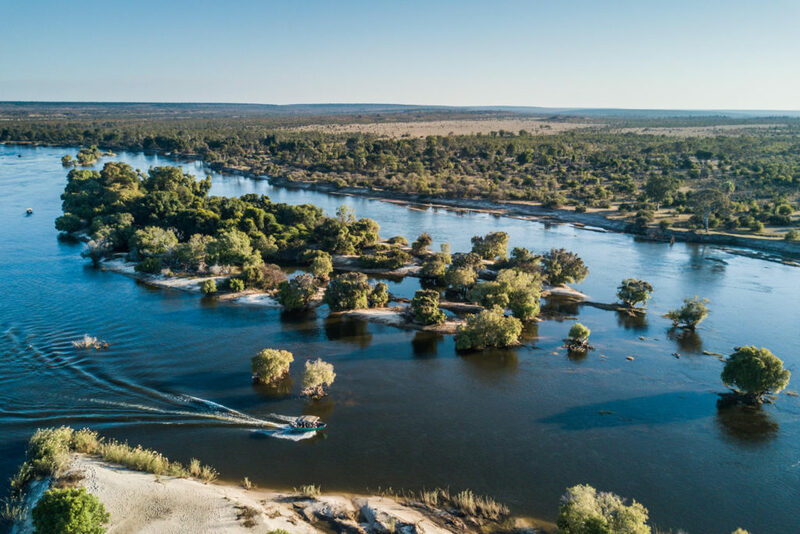 The Zambezi River is the fourth-longest river in Africa carving its way from Zambia into Angola and then back into Zambia before going along the borders of Namibia, and Botswana. It enters back into Zambia before cross into Zimbabwe as it plunges over Victoria Falls. The river crosses through Mozambique to complete its journey into the Indian Ocean. 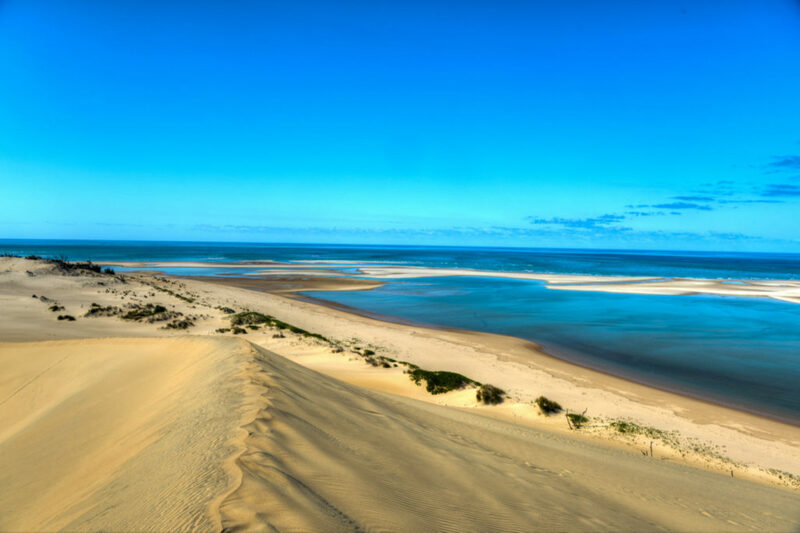 Mozambique has the honor of hosting the mouth of the river where it meets the Indian Ocean. Along with three other rivers that flow into the Indian Ocean, the Zambezi River is part of the World Wildlife Fund’s Zambezian coastal flooded savanna ecoregion. Here travelers will see a collection of open grassland and freshwater swamp inland. Wildlife has lessened by visitors may see reedbuck, eland, lion, cheetah and leopard. The Nile Crocodile is also present.